In northwestern Italy, there is a quiet, beautiful place called the Aosta Valley. Known for its castles, the valley is snuggled into the Italian Alps. Taking its name from the charming alpine town at the far end, the journey to the once-Roman town of Aosta takes the traveller past castle after castle. While Fenis Castle is certainly magnificent, it’s hardly the only option. With at least 10 castles hugging the valley’s slopes alone, the smallest region in Italy has no shortage of ancient strongholds. Fenis Castle dates back to the fourteenth century and exemplifies both military might on the outside and cultural riches on the inside. 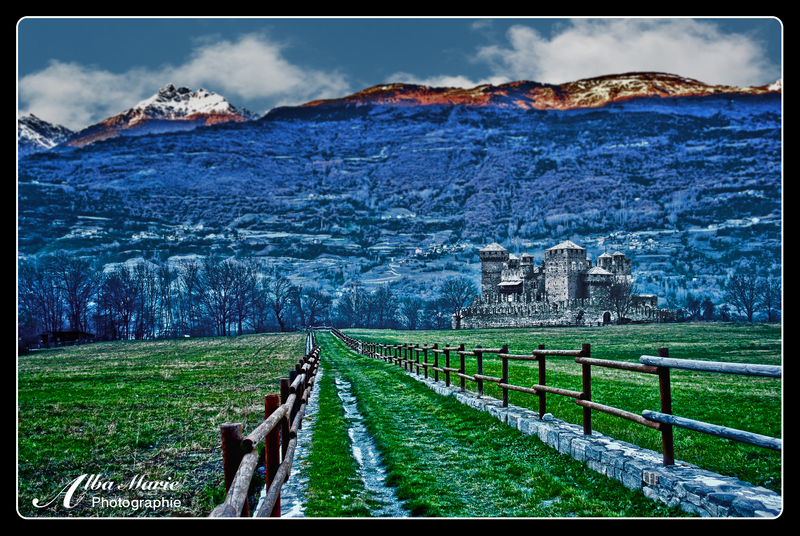 Less than 15km from the regional capital of Aosta and roughly 100km from the city of Torino, Fenis Castle is located in between the villages of Fenis and Nus on the dramatic backdrop of Dora Baltea River and the Italian Alps. Getting there with public transport can be tricky; check in with the tourism office in Aosta to plan your trip accordingly, and do not (under any circumstances!) attempt to visit on a Sunday afternoon – northernmost region or not, Aosta is still in Italy, and in Italy, Sundays are still the day of rest! Look at that colour! These deep, cobalt blue waters belong to Croatia’s coast along the Adriatic Sea, the body of water dividing Italy from Croatia. This little Balkan country has been drawing attention over recent years as the place to be during summer! 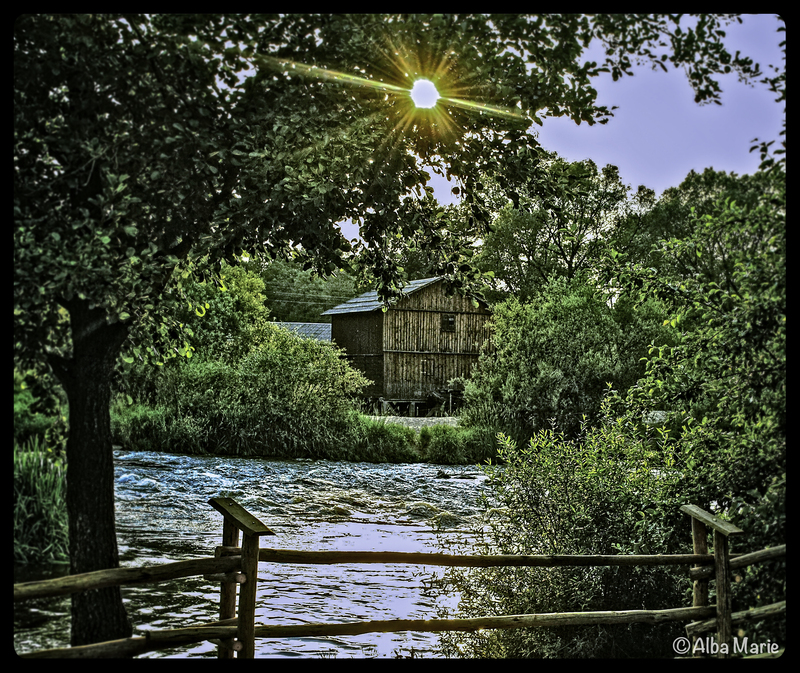 Perhaps a bit over-crowded, the country does not want for beauty. From ancient ruins (such as the Diocletian Palace in Split), to delicious food and wine to rival Italy’s cuisine, to an incredible coastline easy to experience by boat, to friendly locals who can’t wait to show tourists their culture, all the way to the unbelievably blue waters such as those above, Croatia seems to be blessed. And what better way to visit than by boat? Whether you take a small tourist “island-hopping” boat, a cruiser that travels up and down the coastline, an immense Mediterranean cruise ship or even a ferry from Italy or Albania, Croatia must be experienced via the water. 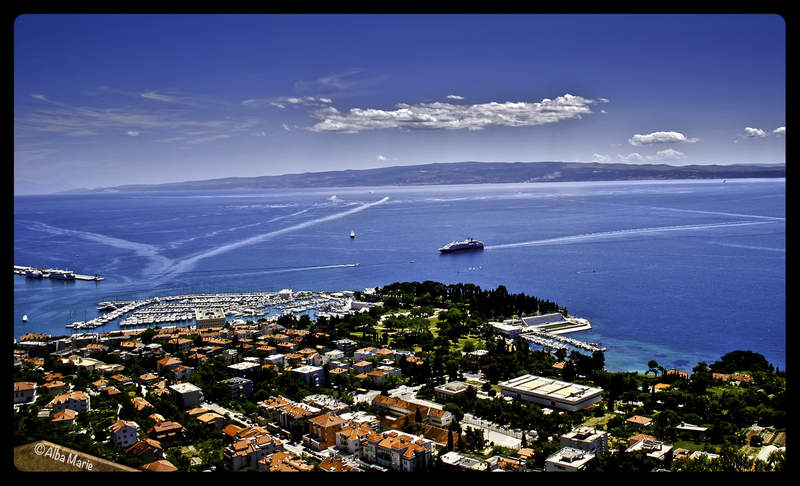 And if you do visit Split, be sure to climb the little hill called Marjan just outside the city centre, as the view from the top is to die for! You know that massive outcropping of stone, forest, and rock that divides France from Switzerland and Italy? Yes, well, that is the infamous French Alps. Mont Blanc, as you are probably aware, is the tallest mountain in Europe, calling in at 4,810 m (or 15,780 ft), first summited in 1786 by Jacques Balmat and Dr Michel Paccard, in effect marking the commencement of modern mountaineering. But enough about that. Contrary to popular belief, the Alps are not just snowy, desolate places where only skiers and the most advanced mountaineers can be found; in fact, much of the alps (in the warmer seasons) looks a lot more like these photos. 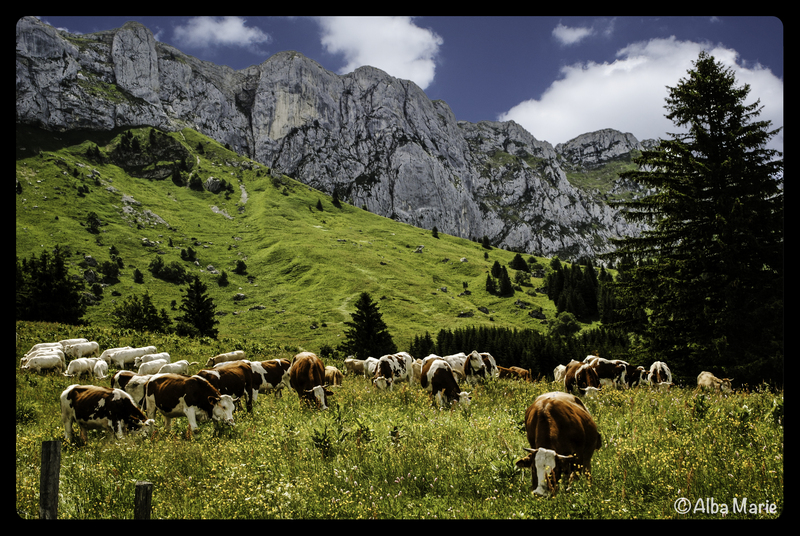 Fields covered in wildflowers, animals grazing on gentle slopes, footpaths tracing mountainsides with the odd cheerful hiker passing by, here is a different perspective of the Alps. Of course, getting to the summits, even the ones visible in these photos, is still a challenge, involving a scramble, deep concentration, and coordination between all four limbs, but the view is worth it. 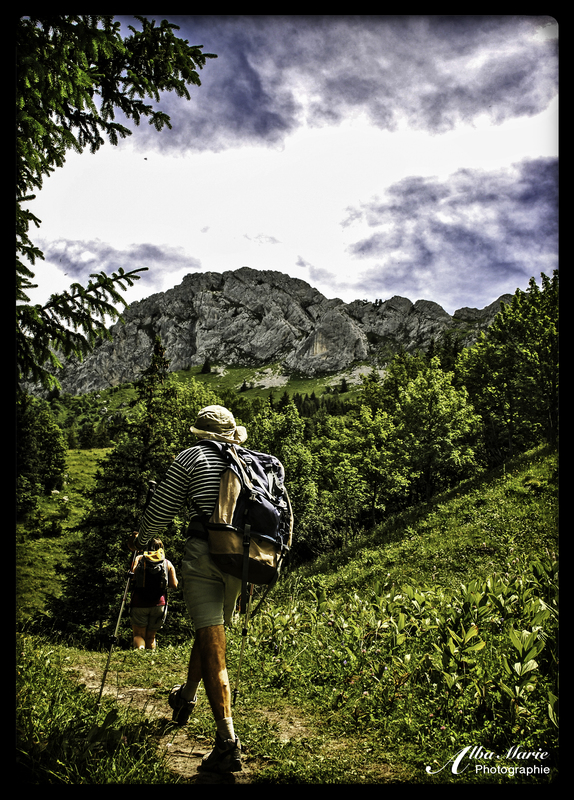 Whether you prefer to climb the big mountains or the smaller ones (often referred to as the ‘Pre-Alps’), the graceful beauty, intense peacefulness, and stunning views of the French Alps will instil the power of Mother Nature in you. There’s a good chance that you will walk away a changed – and happier – person! Sometimes, a landmark or monument becomes so iconic, so heavily associated with a city that any reminder of one automatically reminds you of the other: Paris – Eiffel Tower; Rome – Colosseum; London – Big Ben; Moscow – the Kremlin. Berlin and its Wall belong on such a list. The Berlin Wall, erected by East Germany’s German Democratic Republic in 1961, divided the city in half, cutting off one from the other…until 1989 when it famously fell (though entire demolition did not occur until 1990). Imagine, for a moment, that your city–wherever it may be–was suddenly cut in half by a gigantic wall. Families are separated. Friendships are partitioned. Jobs are lost. Travel is stunted. Freedom is killed. 3.5 million manage to escape to the West before the Wall goes up, but the rest are left behind. Yet, despite all the horrors of WWII, the crash of the Iron Curtain, and the hardships that continued to befall the residents of the Eastern Bloc during the following decades, the East Berliners persisted. And when the Wall finally fell, instead of showing anger and pain, they celebrated life and freedom. They used the largest stretch (1.3 km) as a giant canvas, with 105 different paintings and graffiti depicted on the east side (i.e. the East Side Gallery). 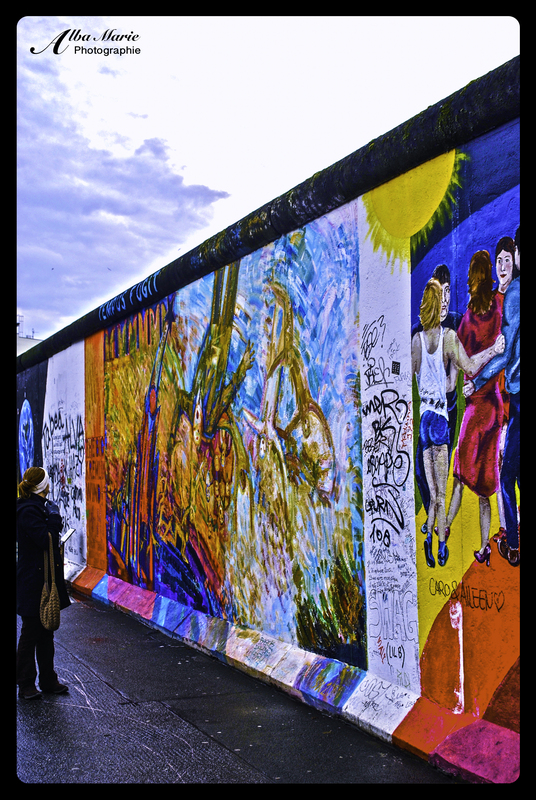 Despite the fact that the art changes the original appearance of the Wall, it is a magical display of freedom, democracy, movement and choice celebrated by millions every year from all corners of the globe.